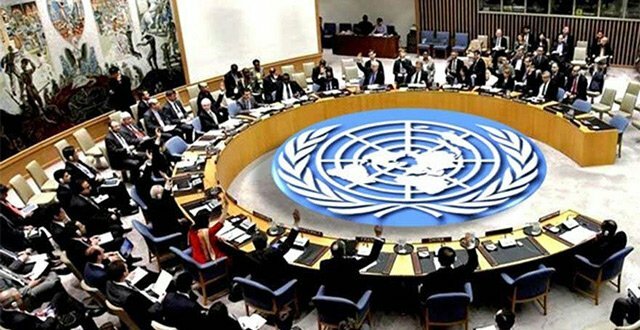 The UN Security Council has called an emergency meeting to discuss the situation in Gaza after 15 Palestinians were martyred by the Israeli army during a peaceful protest earlier in the day. The emergency closed-door session was requested by Kuwait and is scheduled for Friday evening. Kuwait’s mission at the UN in a written statement said Assistant Secretary-General Taye-Brook Zerihoun is expected to brief the council on Gaza at the meeting, which will start at 6:30 p.m. [2240 GMT]. Earlier Friday, 15 Palestinians were martyred by Israeli army gunfire and at least 1,500 more were injured near the Gaza Strip’s eastern border with Israel, according to the Palestinian Health Ministry. Palestinian President Mahmoud Abbas declared Saturday a day of national mourning, according to the official WAFA news agency. While the Palestinian government condemned the “disproportionate attacks of Israeli forces”, it also called on the international community to help stop the bloodshed. Since Friday morning, tens of thousands of Gazans had converged on the strip’s roughly 45-kilometer-long eastern border with Israel to reaffirm their right to return to their ancestral homes in historical Palestine. Hours before the march kicked off, a Palestinian farmer was killed when an Israeli artillery shell struck his land in the southern Gaza Strip. Israel had reportedly deployed thousands of troops along the border in anticipation of Friday’s mass demonstrations. Dubbed the “Great March of Return”, they were also intended to pressure Israel to lift its more than decade-long blockade of Gaza. The rallies were endorsed by virtually all Palestinian political factions, which repeatedly stressed the event’s peaceful nature. Friday’s rally in the Gaza Strip coincided with Palestinian “Land Day”, which commemorates the murder of six Palestinians by Israeli forces in 1976.